Indian railway Provides Free Wi-Fi facility In Moving Train - First Time on Howrah Rajdhani Express From Howrah To New Delhi. 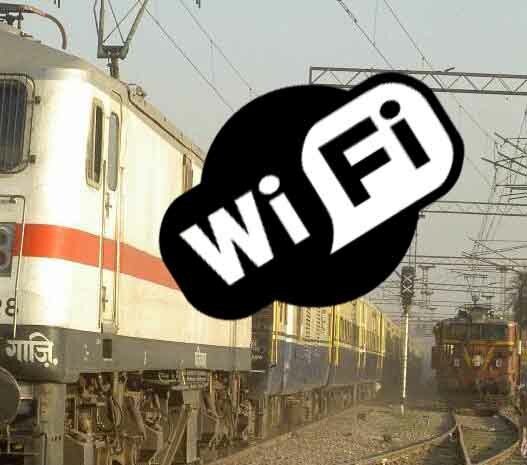 India has introduced Wi-Fi facility in a moving train for first time. Today Indian Railways has successfully launched the Wi-Fi service on Howrah Rajdhani express which is from Howrah to New Delhi and New Delhi to Howrah route. The Wi-Fi facility is provide a speed of 4 Mbps download bandwidth and 512 Kbps upload bandwidth. For passengers to get the Login ID and Password they have to provide the PNR No and Mobile No etc. and the Login ID and Password will be sent through SMS to the registered mobile number of the passenger.